In a compelling talk, Raymond J. 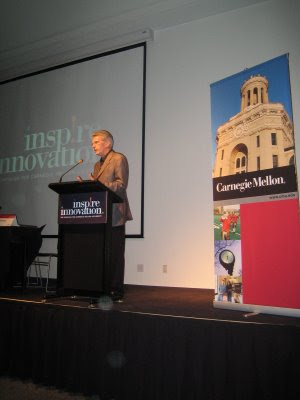 Lane, Managing Partner, Kleiner Perkins Caufeld & Byers and University Life Trustee and Campaign Chair for Carnegie Mellon offered poignant insight on Carnegie Mellon’s national impact from his own life story. When Lane was a boy, his father, an executive in the steel industry back in Pittsburgh, attended night school at Carnegie Mellon. 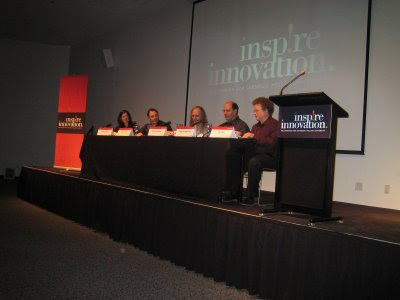 And indeed, throughout Lane’s information age career, he has drawn on the university’s wellspring of talent. Apple Inc. Vice President Edward H. Frank (S’85), also a University Life Trustee, underscored Lane’s message with an observation from his own experience. Richard Hilleman, Creative Director of Electronic Arts, Inc.
Jessica Trybus (MET’04), Edutainment Director of Carnegie Mellon Entertainment Technology Center and CEO of Etcetera Edutainment. At the end of the panel session, Beverly Wheeler, Executive Director of the Washington, D.C. State Board of Education, and President-elect of the Carnegie Mellon Alumni Association, surprised Ralph Guggenheim by presenting him with the Alumni Award. 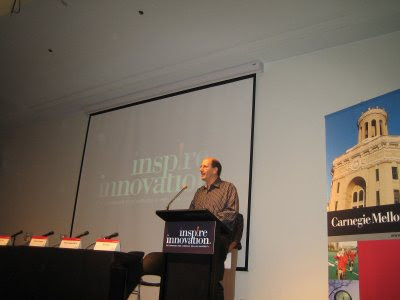 The evening’s discussion was a reminder that although there is more to life than advancing technology, e.g., the fine art, even in the pursuit of these other riches, technology has become a vital element of success, and furthermore, that Carnegie Mellon is at the forefront of both pursuits.